Fig. 1 Arbus precatorius seedpods in watercolor. It is a plant that grows as a weed in the coastal areas of my hometown in the Philippines. And for the sake of nostalgia, I decided to draw it based on a picture I saw on the internet. 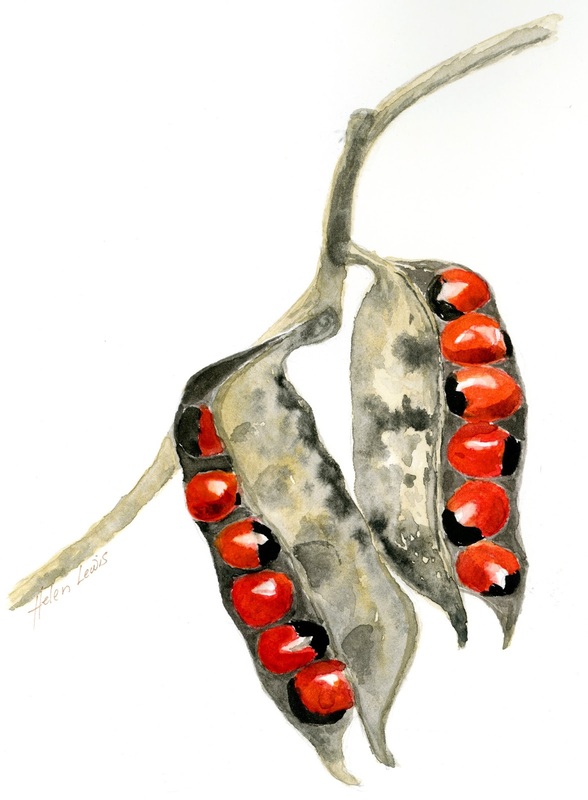 One the subjects I have enjoyed painting recently have been some dehiscent fruits. These are the fruits that split-open at maturity to reveal or release the seeds in them. Dehiscence is nature's seed dispersal mechanism. Sometimes as gardeners we seem to be focused on the flowers especially on ornamental plants such as the Fortnight Lily (Dietes iridioides). However as a plant scientist, I seem to be more fascinated by the inherent ultimate purpose of the plant which is reproduction. Flowers are mainly there to facilitate the seed production. It is for this very reason that the petalss are not very lasting - they fade right after pollination. The fruits which contain the seeds are the true star of the whole show. Fig. 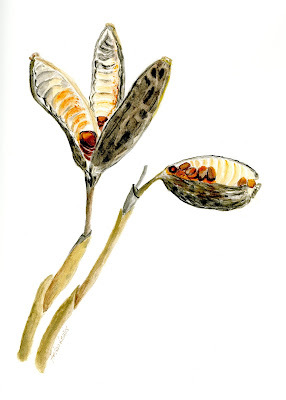 2 Dietes iridiodes seedpods in watercolor. Commonly known as Fortnight Lily, it is a popular choice for the local landscapes because of its heat and drought tolerance. It has beautiful white flowers that bloom in waves from spring to fall. After the petals fade away, prominent green seedpods take the place of the flowers. However, during this time of year blackish-gray cracked seedpods hover over the evergreen leaves. Older leaves turning yellow while the flower stalk remaining bluish gray. Kalanchoe luciae 'Flapjacks' are very interesting succulents because of their flat leaves with colors that seem to change with the seasons. 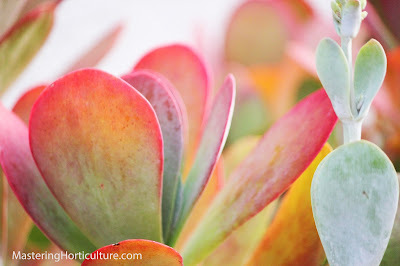 I noticed that during seasons when the plants undergo stress, such as heat, drought and cold, the leaves tend to carry a warmer yellowish color starting from the older leaves. 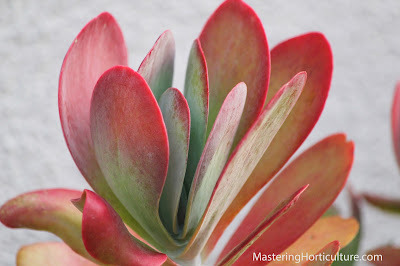 In the spring and fall seasons, the red color intensifies with a hint of blue near the growing points of the plant. 'Flapjacks' make succulent specimen for containers and the garden.